During his opening speech at the Rhodes Conference for Security and Stability on Thursday, Greek Foreign Minister Nikos Kotzias said he hoped the Prespa deal would be implemented and set a shining example of how to solve problems in the region, MIA's Athens correspondent reports. "We cannot live motivated by revanchism and irredentism. We need to accept reality and find ways of living together," Kotzias said. "There's no conflict between North Macedonians and Greeks, in fact, but between forces that seek a solution and the forces of inertia comfortable with no solution." 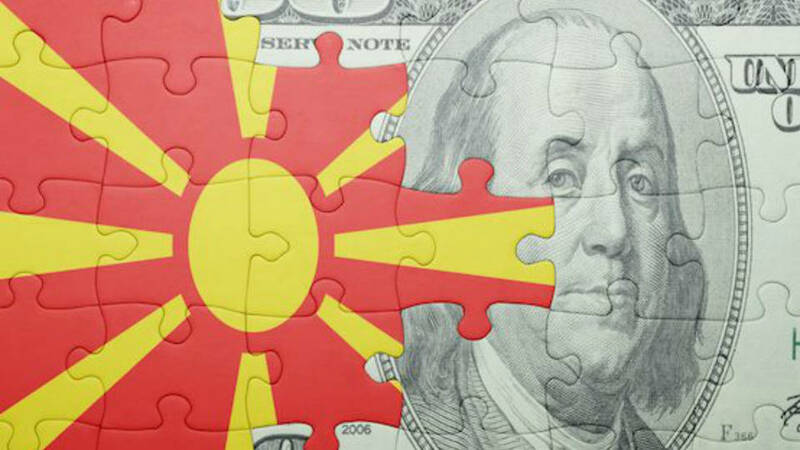 U.S. company "Telamon" will invest EUR 4 million in a Macedonian plant, opening 300 jobs in the first five years. The Government endorsed the draft-agreement on state aid for the company at its 75. session on Tuesday. Telamon manufactures wire harness assembly, automotive secondary harnesses, automotive switch assembly, light industrial assembly, and kitting and packaging services to automotive and industrial-related customers. As one of the largest private companies in Indiana, Telamon has nine domestic locations in Indiana, Illinois, California, Arkansas, Ohio, New Jersey, Kansas, Kentucky, and Missouri, and three international facilities in China (2) and Mexico. The Macedonia plant will be the seat of Telamon-Europe. The agreement marks the beginning of the end of uncertainty for Macedonia and represents dignified and acceptable solution for both sides, with which the Macedonian identity and language is permanently confirmed, PM Zoran Zaev said Wednesday prior to start of parliament’s session at which name agreement with Greece should be ratified. “We have an agreement with a clear mark of our Macedonian identity, of our Macedonian language, forever. We did not give anything to anyone, nor did anyone take anything when we agreed on a geographical qualifier. This is a bold step in the interest of the future of citizens and our children for a peaceful future. Let's dismiss the manipulations, elimination and xenophobia and offer a chance to the agreement. 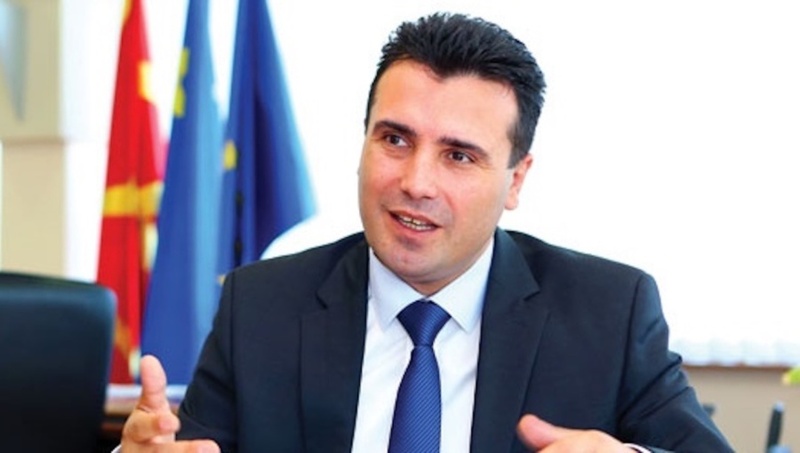 The citizens will have the final say,” Zaev said. In a letter to Macedonian Prime Minister Zoran Zaev, UK Prime Minister, Theresa May congratulated Macedonia on reaching an agreement with Greece, as well as the ratification agreement reached in Parliament, announced the Government. “Such a meaningful achievement would not have been possible without political courage, vision and leadership, as the two of you have shown. As we discussed before in Skopje, resolving this issue will bring enormous benefits to the two countries, as well as the greater region”, reads the letter from Prime Minister Theresa May. She added in her letter, that finally, after 25-years of the long-standing dispute, the wishes of the majority of citizens, who want to see their country become NATO and EU members, will open the doors for these aspirations. She pledged the United Kingdom’s support for Macedonia’s bid to join NATO. 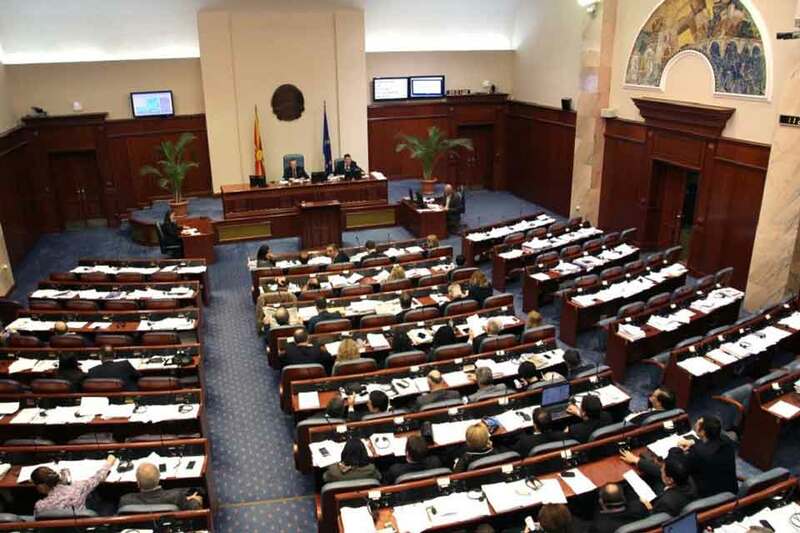 Macedonian Parliament with 69 votes in favor, without any votes “against” and no abstentions, ratified the Agreement with Greece regarding settling the name dispute. MPs of the opposition party VMRO-DPMNE boycotted the session and did not attend. 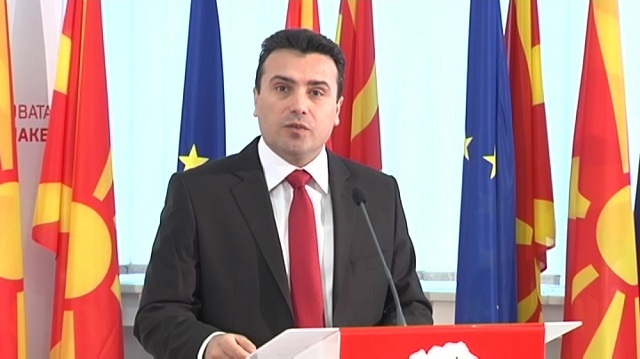 At the beginning of the debate, Prime Minister Zoran Zaev said that the Agreement signed in Prespa was a solution to a dispute that was has been traumatic for Macedonia for over three decades and that this was the beginning of the end of the uncertainty that threatened to go on without end. George Orwell’s dire warning about a “politically correct” police state is about to become a reality in the Republic of Macedonia if the country implements its recently signed agreement with Greece, as there are many provisions within that document which obligate Skopje to suppress its citizens’ freedom of speech under pane of being taken to the UN and/or the International Court of Justice, and to top it all off, Athens will have the authority to jointly determine what Macedonian children are taught in school as well as what “politically incorrect” expressions & concepts should be banned by the authorities. 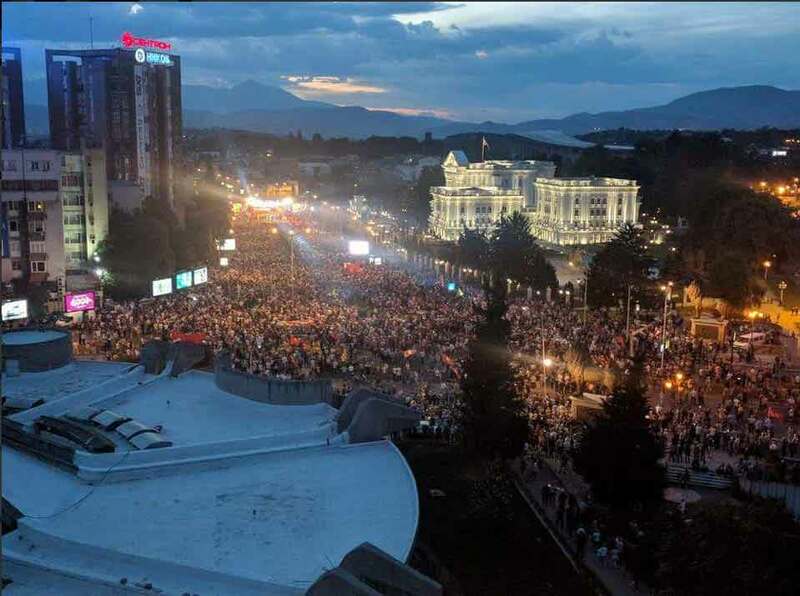 Over 20,000 Macedonians spontaneously gathered this evening in front of Parliament, sending strong messages to the treasonous Government junta led by Zaev. 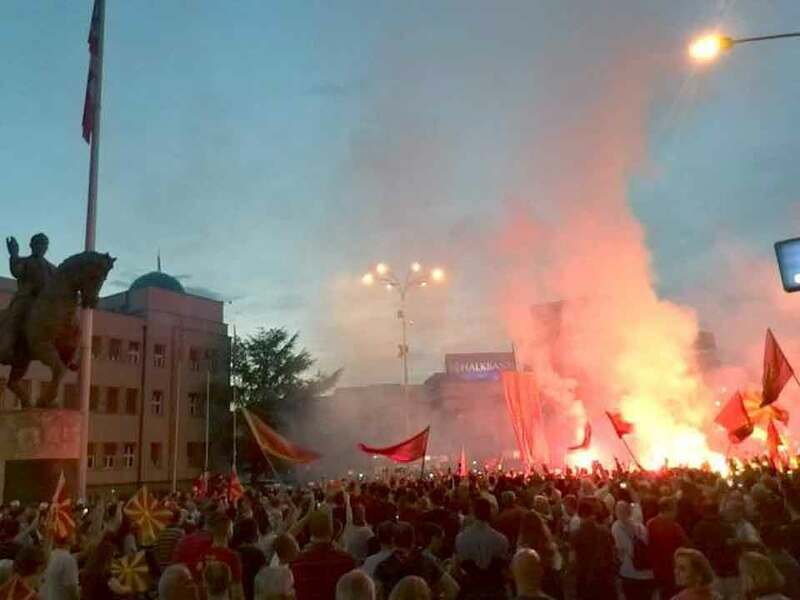 Protesters demanded the quisling junta not go against the will of the people, because that would escalate the situation in the country, and urged an immediate annulment of the agreement between Zaev and Tsipras, the same way they did it – over the phone. Protesters pledged to gather in front of Parliament until the abolition of the agreement and the withdrawal of the referendum decision! The demonstrators gave strong support to President Gjorge Ivanov and told him that they would always be there along with him, in good and bad. They asked for a public hanging of Zoran Zaev, the illegitimate prime minister and traitor. Hangings were requested for Zaev’s associates as well. The protesters emphasized that the protest had people from all political parties and all ethnicities, asking no one to associate them with any political option. 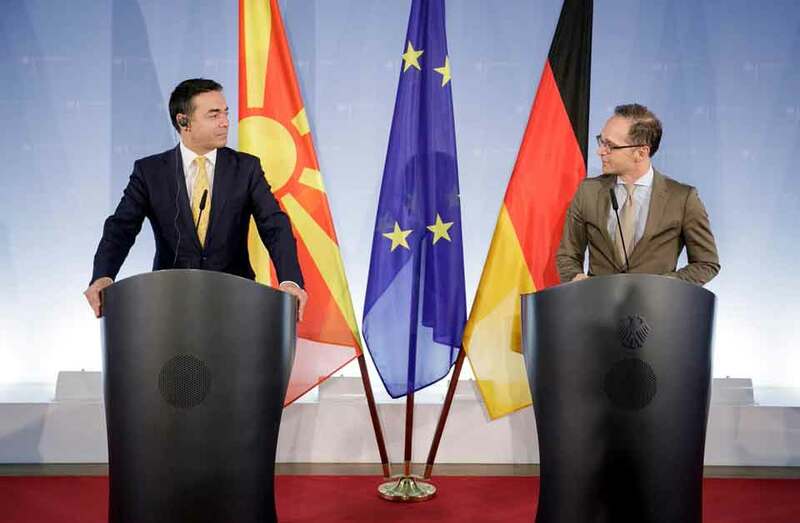 German Foreign Minister Heiko Maas at a press conference with Foreign Minister Nikola Dimitrov in Berlin said Germany supports the agreement reached between Macedonia and Greece, which he considers a solution achieved through a common understanding that will bring change among the citizens. He said that the EU and NATO decisions will be a very important signal and stressed that what Macedonia has achieved in meeting the criteria and the reform process really impresses and deserves recognition from the entire EU. 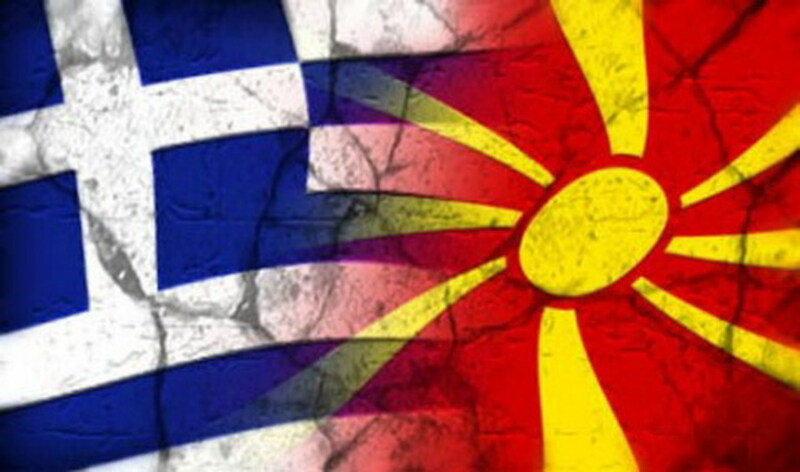 The agreement between the prime ministers of Macedonia and Greece does not unite the society, but additionally polarizes it. 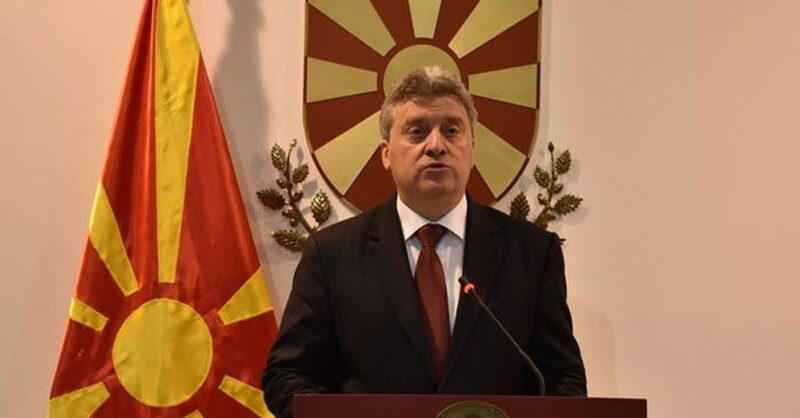 I will strive for a solution that will not violate the dignity of the Macedonian people and the citizens of the Republic of Macedonia, President Gjorge Ivanov said when he addressed the public and went on to announced that he did not intend to sign the agreement that Skopje and Athens had reached. In an interview with TV Kontra, Greek Foreign Minister Nikos Kotzias commented on the telephone conversation between Zaev-Tsipras. While Zaev did not give any more detailed information on the topic, Kotzias triumphantly and somewhat staged celebrated the long awaited phone conversation between Zaev and Tsipras with a public appearance. 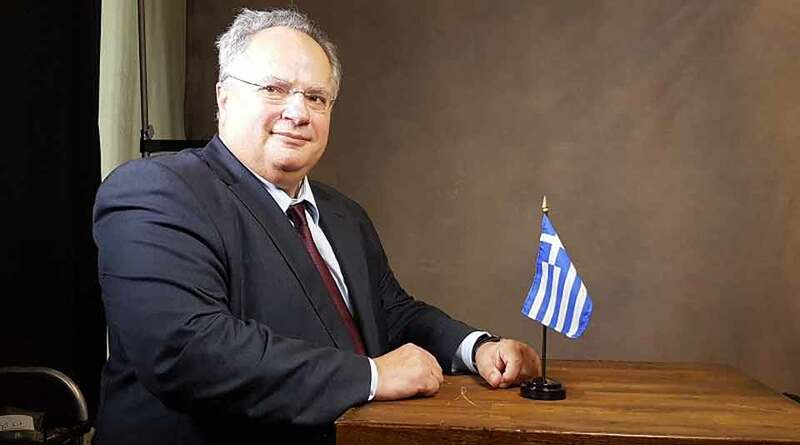 Namely Kotzias stated that Zaev accepted the name North Macedonia, and the issue of the Constitution was resolved, as he said at the initiative of Skopje. “Today’s was a decisive step,” Nikos Kotzias said, referring to the telephone communication between Alexis Tsipras and Zoran Zaev. “If negotiations are concluded tomorrow, the name talks will be completed,” he said, speaking about today’s interview with the two prime ministers. “He chose what he wanted, he already did,” referring to Zaev. We have many common interests with Macedonia and if we find a solution to the name, the two countries will become closest friends in the Balkans, said the Greek Foreign Minister Nikos Kotzias. "We are looking for sustainable, long-term agreement with Macedonia. 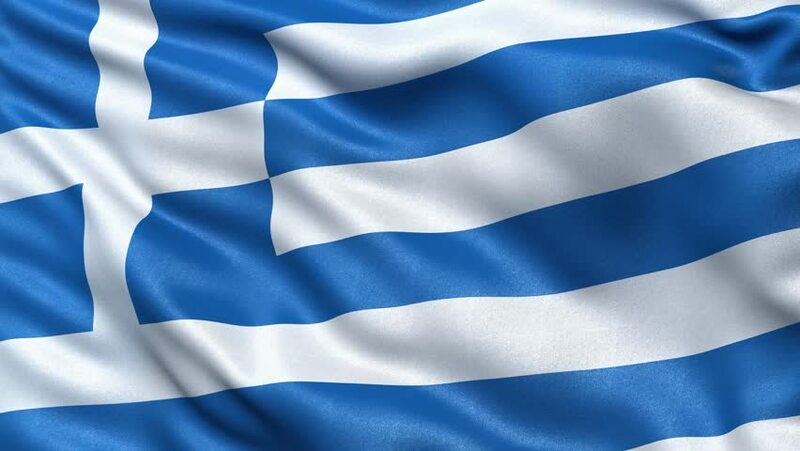 The goal of the Greek foreign policy is to solve problems, not to stay with problems. The issue with Macedonia is subordinated to the main geopolitical and geostrategic problems that we have with Turkey. ", says Kotzias. 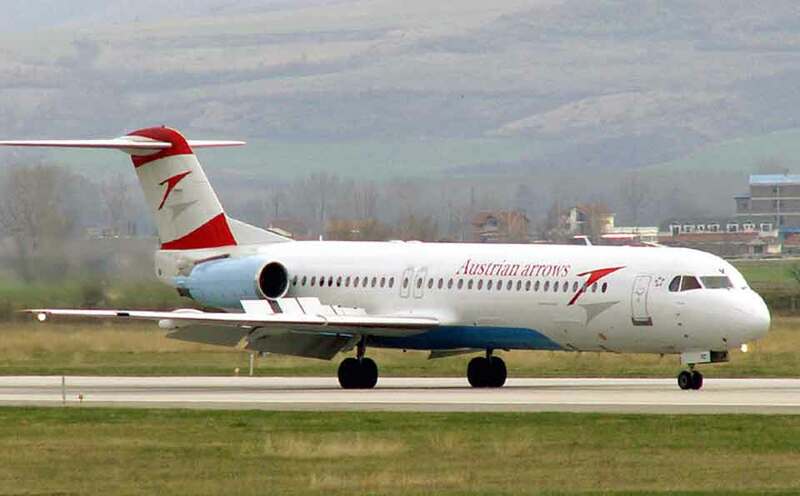 The Greek Foreign Minister said Zaev had already agreed to change the name. 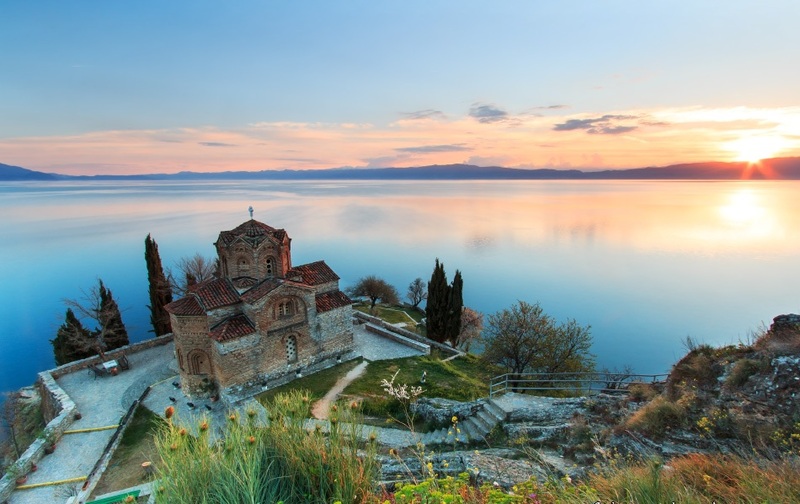 The Bulgarian Orthodox Church held its own celebration of the 1000th anniversary of the founding of the Ohrid Archbishopric on June 10, having turned down an invitation to attend the Macedonian Orthodox Church's celebration on May 27 and 28. On the occasion, which was marked with a liturgy at Sofia's landmark Alexander Nevsky cathedral with the presence of Bulgarian Orthodox Church Patriarch Neofit, the Holy Synod issued a lengthy statement outlining its stance on relations with the church in the neighbouring former Yugoslav republic. The Holy Synod's statement said that in the past more than half a year, the attention of the church and the public in Bulgaria had been particularly focused on the neighbouring country and the status of the Orthodox Church there "which, unfortunately, for decades has resided outside of communion with the family of local Orthodox churches". The number of building permits issued in Macedonia in April decreased by 3.9% year-on-year to 249, the state statistical office, Makstat, said on Monday. 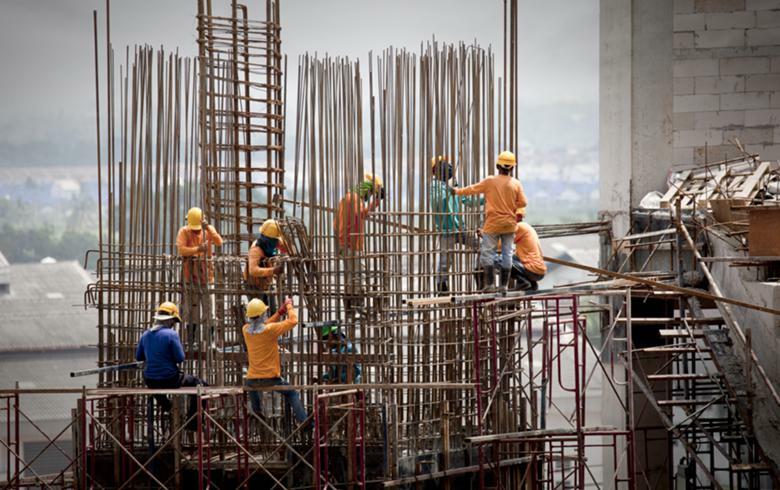 The estimated value of the construction projects covered by building permits issued in April increased by an annual 73.3% to 6.2 billion denars ($118.3 million/ 100.5 million euro), Makstat said in a statement. In April, 134 permits were issued for new buildings, 44 for civil engineering projects, and 71 for reconstruction projects. Of the total number of permits issued in April, 161 were issued to private individuals. During the review period, 965 dwellings were planned for construction, with a total usable floor area of 62,340 sq m.
Macedonia will adopt a new law on medical termination of pregnancy where pregnant women would be able to freely decide whether to stop their pregnancy until week 12, Macedonian Health Minister Venko Filipce declared on Thursday. 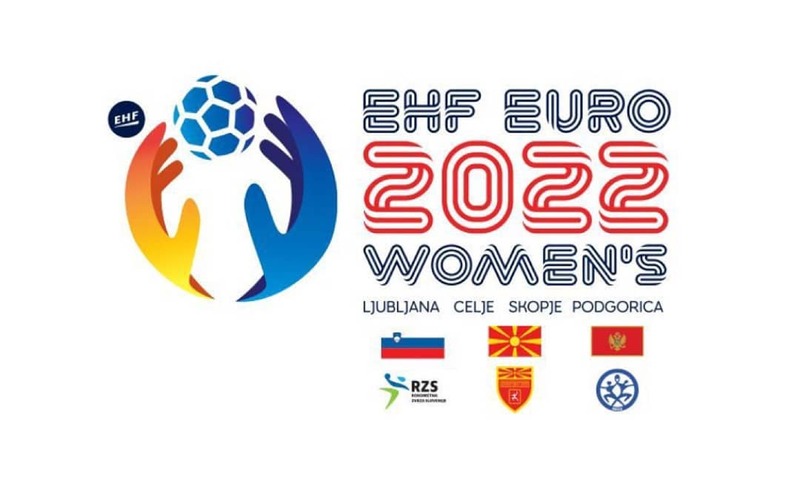 According to the new law, currently under discussion in parliament, women in Macedonia will be enabled to make a free choice whether to end pregnancy until the 22nd week of gestation following an estimation of a three member committee. Filipce announced the new law would be adopted during his address in a symposium on congenital anomalies, organized by the Macedonian Medical Association. "After the 22nd week, a committee will be set up, to make an assessment whether to approve termination of a pregnancy. In case of a congenital anomaly of the fetus, women will have the right to terminate their pregnancy cased on the opinion of various medical specialists," stated Filipce, adding in the new law, the will of women is given importance. Newspaper sport reported that the captain of Macedonia could re-dress Inter's shirt. Newspaper sport writes that the best Macedonian player, 34-year-old Goran Pandev, who has not yet extended his contract with Genoa, could return to Inter. 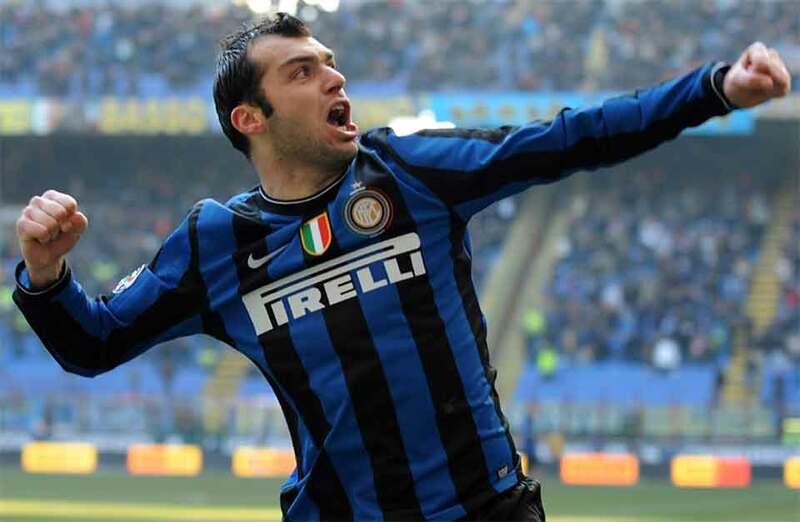 According to information transmitted by the Italian media, Pandev is mentioned as the ideal solution for reinforcing the reserve striker options for the Milan team, for Mauro Icardi. 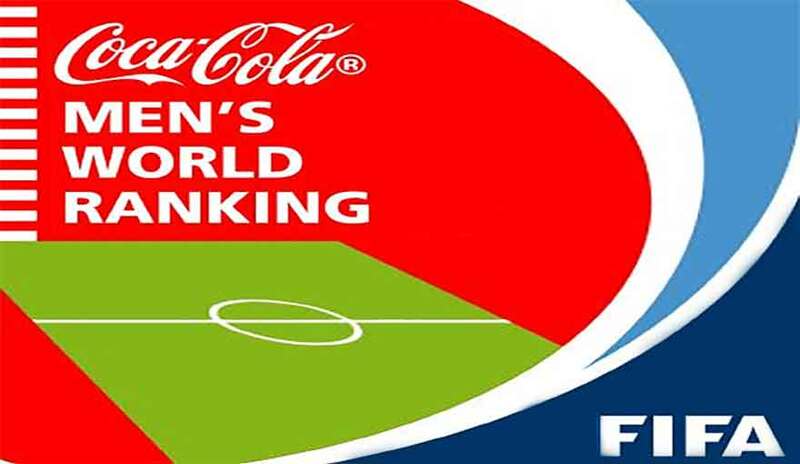 However, we will emphasize that Inter's priority is Nikolas Gonzalez of Argentinos Juniors, and if he does not realize his transfer, then the option among most is Pandev. As a reminder, Pandev was part of Inter in the 2009/10 season when Milan team led by Jose Mourinho reached the historic "triple". 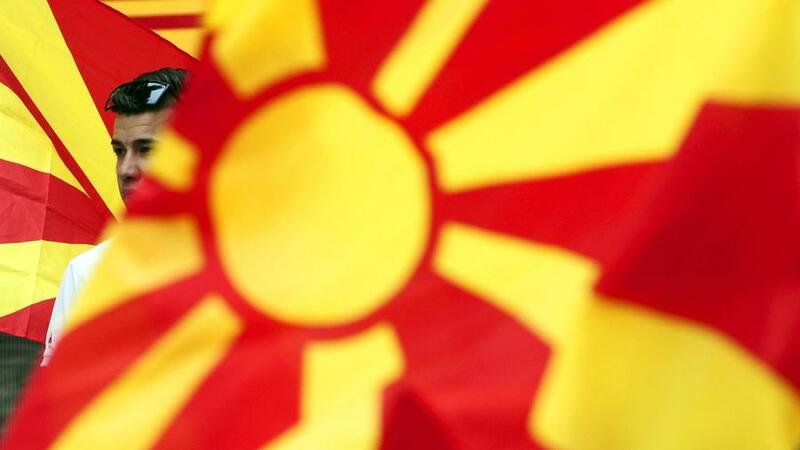 Greek government spokesman Dimitris Tzanakopoulos said he is optimistic that a deal can be reached with the Republic of Macedonia in the decades-old name row, in an interview with newspaper Nea Selida, published on Sunday. 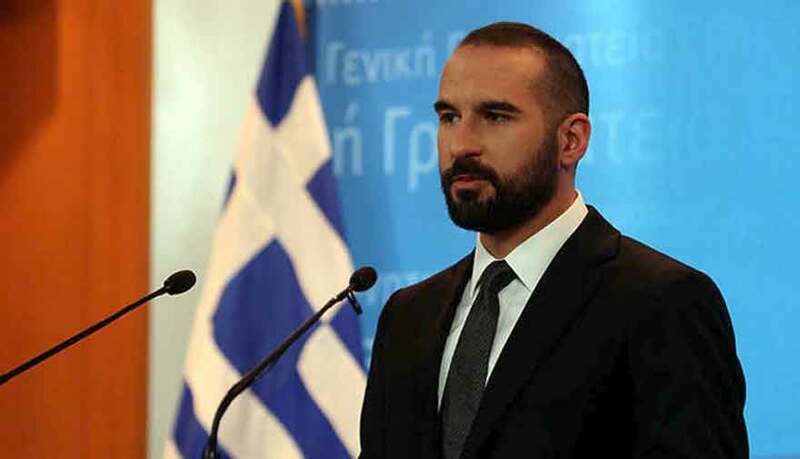 Tzanakopoulos said Prime Minister Alexis Tsipras and Foreign Minister Nikos Kotzias have secured all necessary safeguards to ensure that Skopje will meet all its obligations required to achieve a deal. Commenting on the reaction from main opposition leader Kyriakos Mitsotakis, he said that by the time he decides on his position on a possible Greece-Macedonia deal, "he will have lost any remaining traces of credibility." Heavy rains and strong winds hit Macedonian capital of Skopje on Saturday, causing flooding and road blocking. 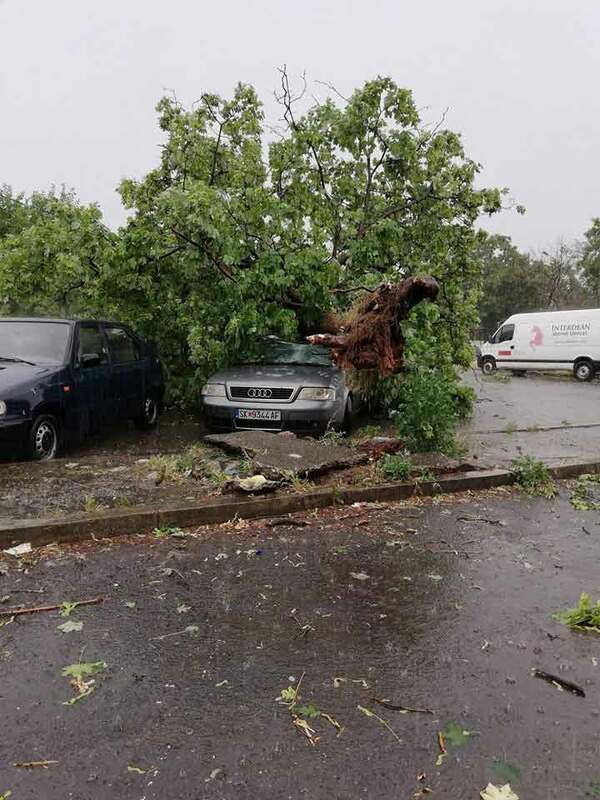 According to the Macedonian hydro-meteorological authority, the wind reached the speed of 80 km per hour. The bad weather caused the blockade of roads for falling trees, damaging cars and flooding. But the Fire Protection Brigade stated that there are no reports on serious damages. 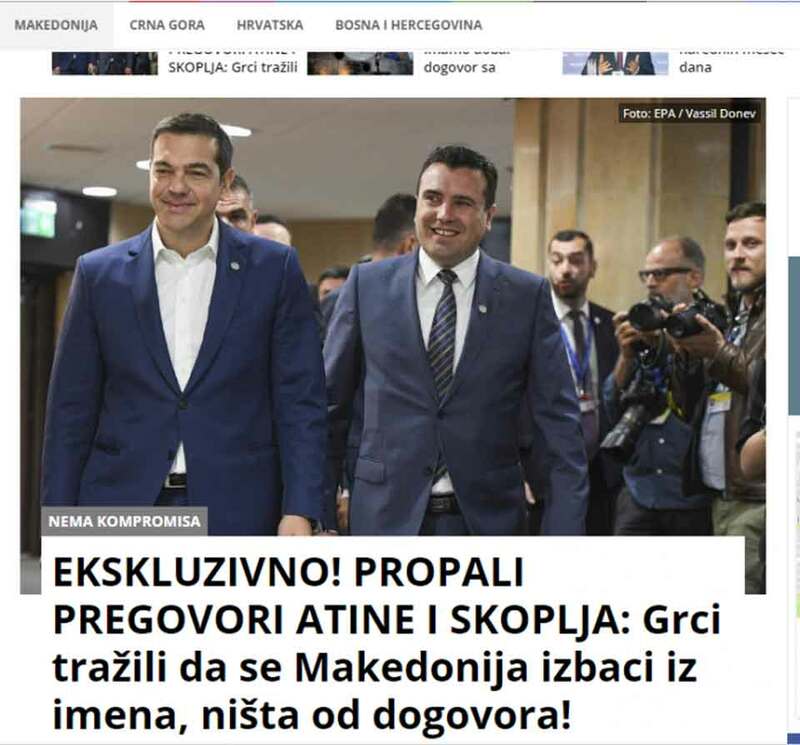 Serbian daily Kurir, whose owner Aleksandar Rodic has deep ties with Soros and is a close friend of Zaev has just reported that the negotiations between Skopje and Athens have failed after the Greek side insisted on complete removal of the name Macedonia, thus reneging on all agreements that were made in New York. 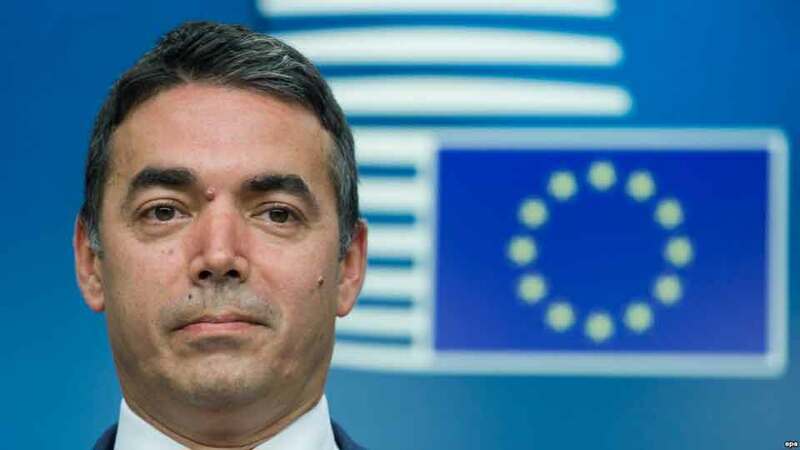 According to Kurir, despite serious efforts by Zaev and Dimitrov to accept literally anything from the Greek side, Athens abused the weakness of the Macedonian negotiating side by making more and more demands. There is likely some meat to this report, considering the close relationship between Zaev and Rodic, however whatever the case might be we’ll find out in the next 24 hours, if not sooner. Over 60 percent of Macedonian patients die as a result of cardiovascular disease because of malnutrition and lack of physical activity, according to the official data of the Macedonian Institute of Public Health. In October 2017 the Macedonian Ministry of Health on the occasion of World Food Day announced that the ministry in cooperation with the respective inspectorate would engage to improve citizens' habits and overall health in terms of healthy nutrition. Meanwhile, doctors in Macedonia underline that the Food Inspectorate should make stricter controls regarding the products sold in the stores on which few citizens are aware of. Igor Spiroski, a co-worker in coordinating the activities of the Ministry of Health in Macedonia with the World Health Organization suggests that more work be done to raise citizens' awareness of the factors that cause overweight. For Spiroski, the most problematic is the overweight, which is more and more present in children. Macedonia's prime minister says he is still optimistic a decades-old dispute with Greece over his country's name can be settled soon, a day after thousands of Greeks attended rallies against a potential compromise. Zaev said summit meetings planned by both organizations later this month should serve as a deadline for further progress in the talks, which started earlier this year. Both countries have voiced willingness to make progress, and optimism that the dispute can be solved. Greece claims its neighbor's name implies claims on its own northern province of Macedonia. Macedonia denies that. 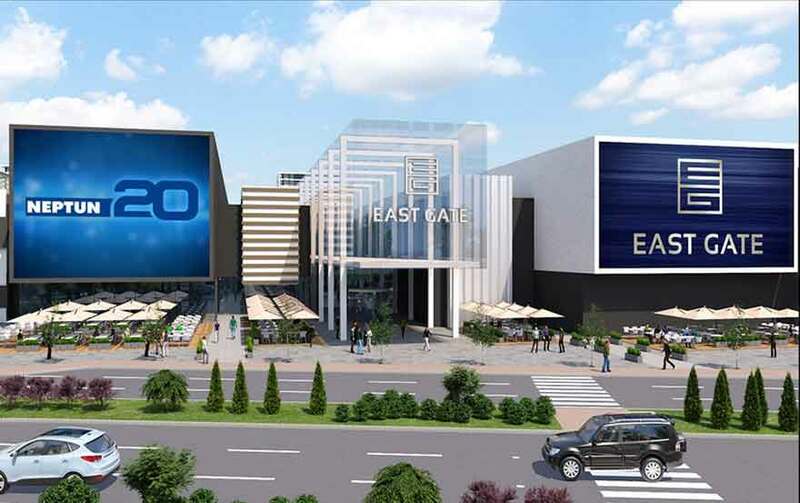 Skopje - Economy stagnates in first Quarter . The "growth" rate of the Gross Domestic Product (GDP) in Macedonia in the first quarter of 2018 was 0.1 percent, Macedonian State Statistical Office (SSO) published on Thursday. According to the SSO data, in the first quarter of 2018, the biggest increase by 12.1 percent was recorded in the sections of arts, entertainment and recreation, in the section of other service activities such as households as employers, in undifferentiated goods-and services-producing activities of households for own use. An increase by 10.5 percent was recorded in the sections of wholesale and retail trade, repair of motor vehicles and motorcycles, transportation and storage, accommodation and food service activities. Meanwhile, the sections of professional, scientific and technical activities, as well as administrative and support service activities increased by 8.5 percent during the first quarter of 2018. The outcome of the name talks is anticipated at NATO headquarters in Brussels. 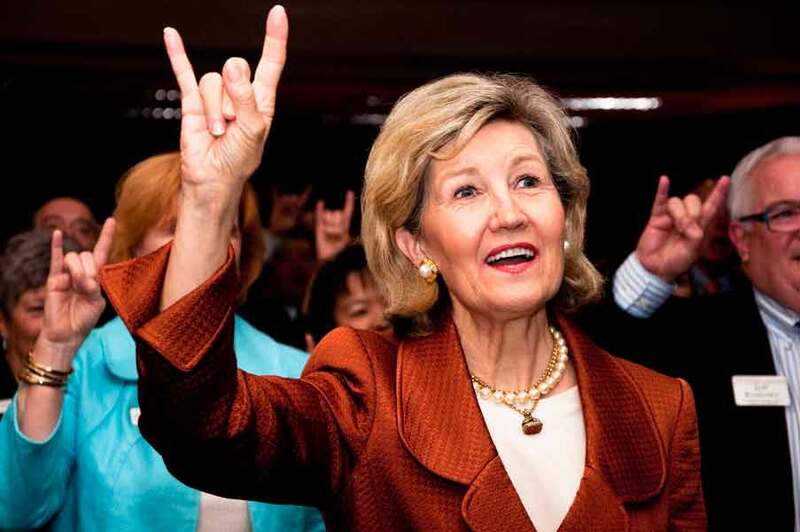 Macedonia meets all the conditions, the final step is completing the name negotiations for Macedonia to join NATO at the upcoming summit in July, said US Ambassador to NATO Kay Bailey Hutchison. Yesterday, Macedonian government spokesman Mile Bosnjakovski at a press conference in government did not specify where the negotiations are and whether there are chances of a meeting or telephone conversation between the prime ministers of Greece and Macedonia by the end of the week. Bosnjakovski did not want to comment on VMRO-DPMNE’s Antonio Milososki’s Facebook status, who wrote that on Thursday or Friday the meeting between Zoran Zaev and Alexis Tsipras will take place at Mala Prespa. “We are at an official press conference in the Government of the Republic of Macedonia. We shouldn’t comment on unofficial information regardless of the sources they came from, especially if they do not have credibility and legitimacy”, said Bosnjakovski. Regarding the question, whether there will be a possible meeting or phone call between Zaev-Tsipras by the end of this week, he said the government’s attitudes remain the same, and will not respond to speculation. The Museum of Illusions - the first of its kind in Macedonia - was opened Wednesday. Following months of preparations in an original museum concept, it is located in downtown Skopje in three-level, 550-square meter premises. The museum is the largest of its kind in the country's surrounding, Blagica Ilic, museum's representative, told a news conference on Wednesday. Not only children and youngsters, but also adults are the target group, according to her. "Some thirty items and over 60 pictures offer an unreal-looking reality, an unusual and never-before-seen solutions. The uniqueness of our museum, compared to those in the region, lies in the fact that it represents a collage of several museum-like activities. Its originality lies here," stated Ilic. Prime Minister Zoran Zaev again urged Tuesday President Gjorge Ivanov to sign the controversial Law on the Use of Languages and "enable the continual functionality of democracy in the society". 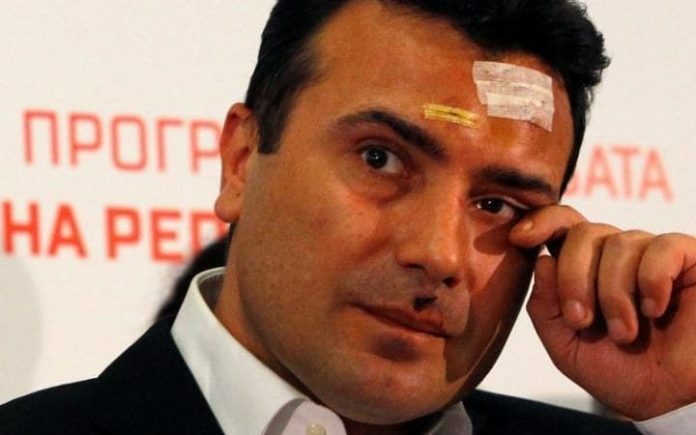 PM Zaev told reporters at the sidelines of a conference of Network 23+ that he tried to motivate President Ivanov at several meetings to sign the language, because the Parliament is otherwise blocked. "He is sending a message that the President can decide whenever he wants and for whatever law to use the so-called 'pocket veto'. This is not a functional democracy. The responsibility is too big," added Zaev. He said competent institutions such as the Constitutional Court should be consulted, but also the Venice Commission. The young and talented product of Akademija Pandev made a transfer to the Turkish club following the footsteps of Elif Elmas. The Strumica based club confirmed that midfielder Jani Atanasov has passed the medical test on Monday and later in the evening has signed a four year long contract with Bursaspor. According to local media, Bursaspor payed €600.000 to Akademija Pandev for the transfer. 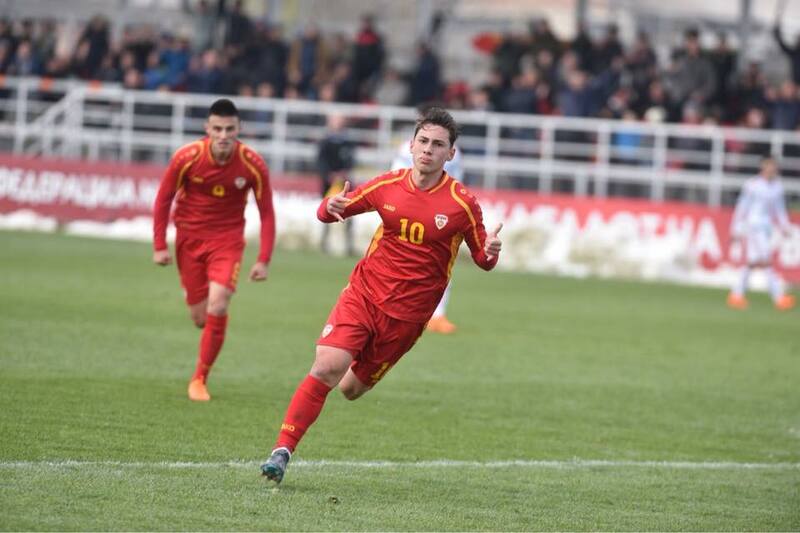 Eighteen-year-old Atanasov is one of the brightest young Macedonian players. He has been capped for the U17, u18, U19 and U21 national teams and it is only a question when he will have his debut in the senior national team. 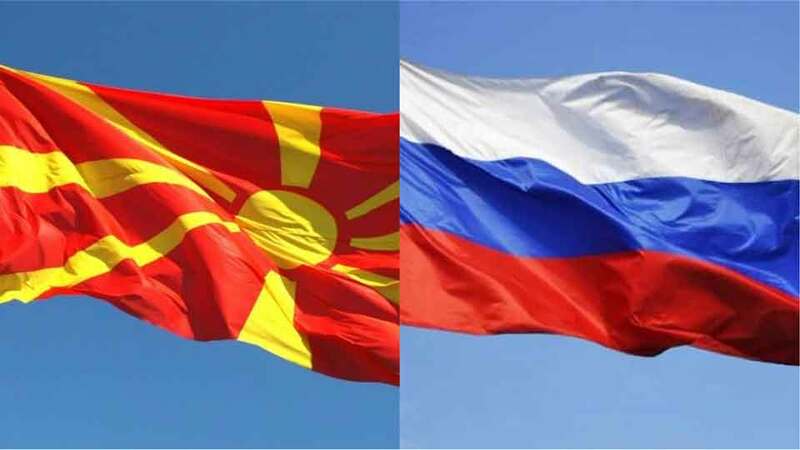 The Republic of Northern Macedonia, the Republic of Upper Macedonia and the Republic of New Macedonia are the names remaining at the negotiating table between Skopje and Athens. In the coming days, an agreement could be reached to put a tenth-century dispute over the name of Macedonia. This was stated by the Minister of Foreign Affairs of Greece Nikos Kotzias in an interview for the state television ERT. Asked why the telephone conversation between the Prime Ministers of Macedonia (Zoran Zaev) and Greece (Alexis Tsipras) takes so long to be done, Kotzias said, "The neighbouring government faces problems and is now considering some revisions to the treaty." In his view, the agreement is a good compromise, which both countries benefit. Hungarian Prime Minister Viktor Orbán was quoted on Monday by European news portal Euroactiv supporting the efforts of Macedonia’s main opposition party to block a solution to the long-standing name dispute with Greece during the party's Skopje meeting on June 2. In a video message, Orbán hailed the party’s "wise and courageous leaders... who won’t bend under pressure from foreign powers". 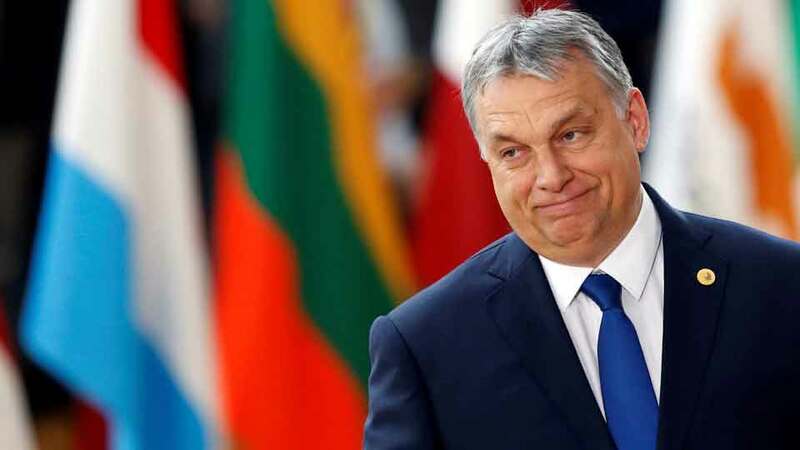 Euractiv notes that Orbán's messages are contrary to those of other Democratic Christian leaders, such as Elmar Brok, a close ally of German Chancellor Angela Merkel, and European People’s Party leader Joseph Daul, who voiced his support for a "mutually acceptable solution". European Parliament Vice-President and Syriza member Dimitris Papadimoulis told Euractiv that almost all EU political leaders, and the overwhelming majority of MEPs, support the Tsipras-Zaev efforts to finally resolve this 25-year dispute. Renata Deskoska is elected for Minister of Justice by 67 votes ‘for’ and ‘23’ against; Arbr Ademi for Minister of Education and Science by 67 votes ‘for’ and 25 ‘against’; Asaf Ademi for Minister of Culture by 66 votes ‘for’ and 23 ‘against’ and Bardil Dauti for Minister without Portfolio by 65 ‘for’ and 26 ‘against. Andrej Zernovski is elected for Deputy-Foreign Minister, Asim Musa for Deputy-Health Minister, Gonul Bajraktar for Deputy-Minister of Labor and Social Policy, and Sadik Beqiri for Deputy-Minister of Transport and Communications. 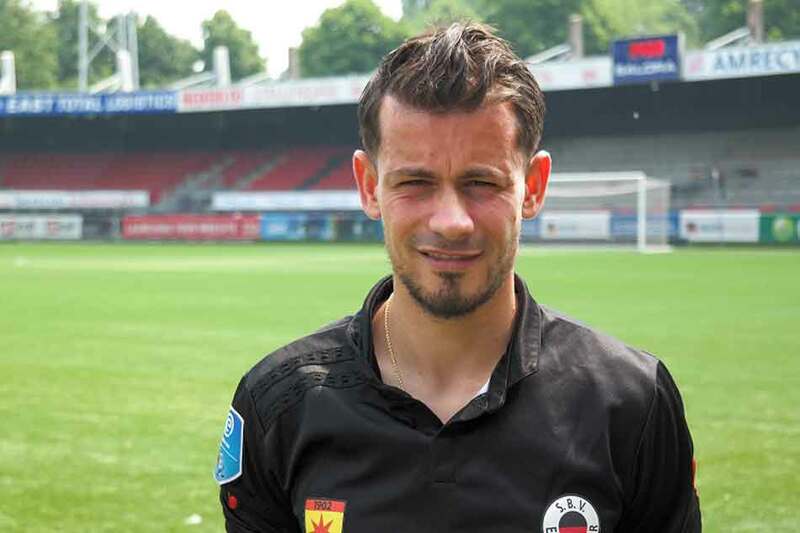 The great performances in the Dutch second league earned Mahmudov a transfer to a top flight club in the Netherlands. 28-year-old attacker Denis Mahmudov had a great season playing for Dordrecht in the Dutch second league. He scored 18 goals (including 3 in the play-offs) and recorded 4 assist making him one of the most valuable players in the league. With his new club Excelsior he signed a two-year deal. It will be his second chance to prove his qualities in the Dutch best league as previously he made only 6 appearances while playing for Zwolle back in the 2013/14 season and managed to score one goal. Now, much more experienced, Mahmudov is expected to help Excelsior end higher than this season’s 11th place. A little less than half of respondents (48.3%) agree that the Greek government should work towards a solution in the name issue, show results of the public opinion survey by agency Rass for the Greek TV station Action24, MIA reports from Athens. Asked if they agree with the opinion that the conditions for settlement of the name issue are currently favorable and the government should work towards its solution, 43.8 percent of respondents say yes, 4.5 percent "probably agree", 40.7 percent do not agree, 3.2 probably do not agree, while 7.8 percent failed to answer. The survey's detailed analysis shows that the majority of those supporting a solution now are women (51.9%) at the age between 17-34 (60.1%), who voted for SYRIZA at the last elections (55.2%) and residing in Greece's south (58.9%). Thousands supporters of Macedonia’s opposition VMRO-DPMNE party protested on Saturday against changing the name of the country and to demand an early election because of the poor state of the economy, which contracted last year.